The Three Gorges Dam along the Yangtze River in China’s Hubei Province is the largest hydroelectric project every constructed. 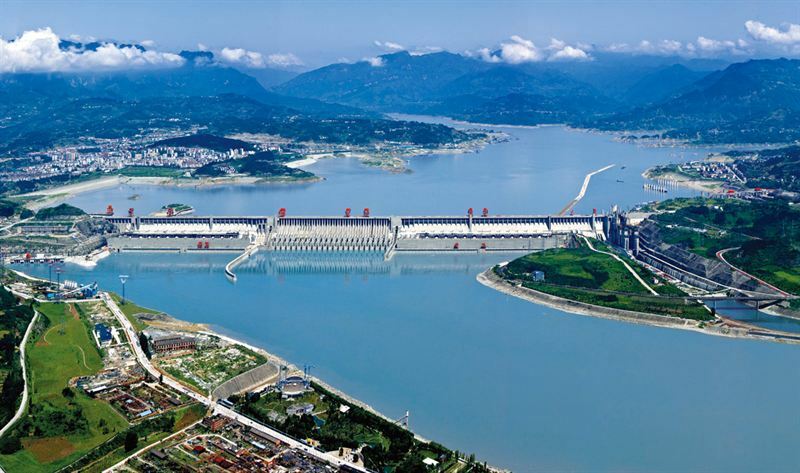 Begun in 1994 and completed in 2009, the dam is a source of hydroelectric power, shipping locks, and flood control for the middle and lower Yangtze River. However, there were quite a few drawbacks of a project flooding an area of more than 600 square kilometers. As water levels rose, nearly 1.3 million people were forced to relocate. The effects of this displacement were devastating to the population and many Chines cultural sites and artifacts, as the places they had to leave behind have some of the oldest history in China. The Three Gorges Dam is the largest hydroelectric project ever constructed, and flooded 632 square kilometers of land beyond the existing banks of the Yangtze River. Some of the above ground historic sites that were below the final water level have had to be preserved on site or moved. The Baiheliang Stone, the best preserved ancient hydrologic station in the world, has been saved through constructing an underwater museum around it. 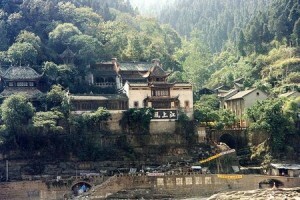 Shibaozhai, an ancient Buddhist temple built by the Ming emperor Wan Li, is now an island in the center of the new lake, surrounded by a concrete dike. Some structures are being moved altogether, such as Zheng Fei Temple, which was moved one brick at a time and reassembled at a higher elevation. However, much of the above ground archaeology is only left in data collected, as the sites themselves have disappeared beneath the water. The Three Gorges region is the birthplace of Chinese civilization, but archaeology in the region has traced human habitation of the gorges back to the Paleolithic. In preparation for it to be submerged, over 1000 Chinese archaeologists descended on the region to do what preservation could be done in this culturally rich region before the water covered everything. Budgeting problems hindered efforts both with lack of funds and complications with distribution, but archaeologists have still investigated some 1087 sites throughout the valley, gaining information about habitation of the region as early as 2 million years ago, as well as for nearly every era of habitation since. However, countless more data has been lost to the rising water levels. 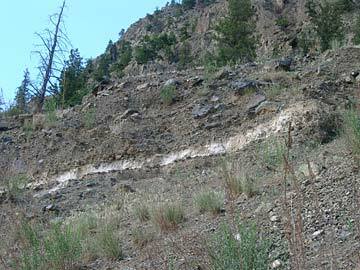 Looting, too, has been an enormous problem for the archaeological record as both professional scavengers and local farmers descended on sites throughout the gorge. Many of the sites found in the region were left without surveillance before they were able to be excavated or were submerged. Over the course of dam building, many artifacts from the Three Gorges area went up for sale through dubious channels, most notably a bronze spirit tree dating to the Han dynasty. Though these pieces have been saved from submersion, their context has been destroyed, causing the loss of valuable archaeological data. Some 250 miles south of Portland, Oregon, Crater Lake is the deepest lake in the United States. However, it did not start this way. It was once the top of Mount Mazama, a supervolcano in the Cascade Range that towered over 12,000 feet above sea level. The transition from enormous mountain to the caldera it is today was explosive: about 7,700 years ago Mount Mazama erupted, emptying twelve cubic miles of lava and enormous amounts of pumice out of its magma chamber in mere days, during an eruption forty times as powerful as the 1980 eruption of Mount St. Helens. The magma chamber then collapsed in on itself, forming the caldera, which filled to form Crater Lake. During this explosion, Mount Mazama also erupted an enormous ash plume.This is where archaeology ties in. 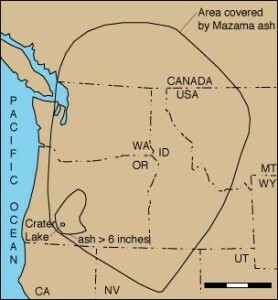 The ash cloud was so immense that it stretched over nearly the entire northwest, as far north as Alberta, Canada. This ash layer, which soon cooled to a solid, remains an easily visible lighter layer of sediment throughout this whole area, providing archaeologists studying much of the Pacific Northwest with a definitive time stamp for relative dating. This method of dating uses stratifigraphy, which analyzes sedimentary layers and the finds contained within them to determine their dates in relation to each other and learn what the environment was like at the time the layer formed. This and other kinds of archaeological survey and dating, mostly Potassium-Argon dating of igneous rocks, have also provided evidence on how Mount Mazama evolved and its development since its most recent eruption. The oldest lava flows from Mount Mazama are 400,000 to 420,000 years old, and in between then and now there are lava flows of varying ages. Mount Mazama itself is made up of many smaller shield volcanoes and stratovolcanoes that, through time, eruptions, and glaciation merged into one supervolcano before its ultimate eruption and collapse. Remnants of the cones of these other volcanoes remain, and geologists and archaeologists can date the lava they erupted to find how Mount Mazama itself evolved. Studying the volcano itself gives archaeologist valuable context for understanding the cultures of this area. For the Klamath people of Northern California and Southern Oregon, Mount Mazama and Crater Lake are central to their cultural identity and history. They had lived in the area for thousands of years before the most recent catastrophic eruption, and believed Mount Mazama and the region’s other volcanoes to be the home of spirits. In their cultural belief, the eruption happened when the spirit of the underworld broke out, and their culture’s spirit chief forced him back, thus trapping him in the collapsed volcano. The rain that then came to put out the fires filled the crater to form Crater Lake, a sacred site which they kept secret from outsiders until a white settler accidentally discovered it in 1852. For archaeologists, understanding Mount Mazama is critical to understanding their cultural history.